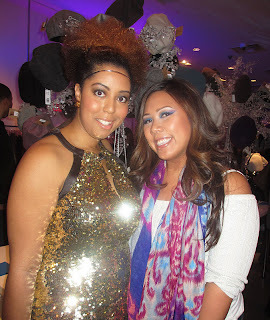 A few weeks ago I had the pleasure of attending a blogger event hosted by my girls Lexi and Danielle. 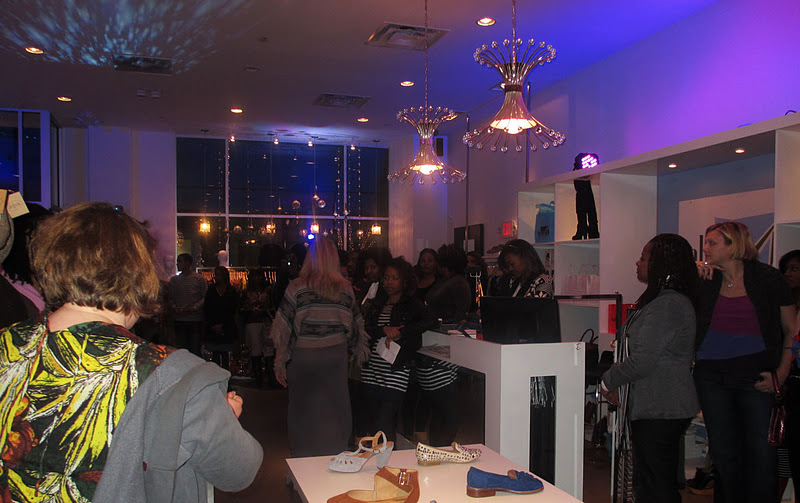 It was a fun pre-NYE bash where we got to view mini fashion shows, mix and mingle and get some nice goodies! Here I am with one of the hosts Lexi from www.curlscoilsandkinks.com. Luv her! I didn't get a chance to take a pic with the other host Danielle from www.thestyleandbeautydoctor.com but she was doing it in her Gray Dress and Red Lip combo! My girl Melissa was my date this evening! 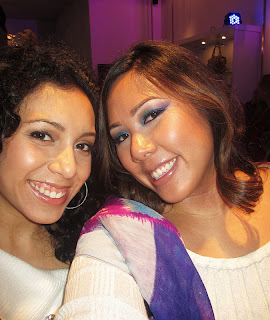 To see how to accomplish this makeup look, check out my Blue and Sparkly Makeup tutorial here. We munched on sweets and sipped on champagne! There were mini fashion shows through the night showing different daytime and nighttime looks and even a NYE look! There were even raffles to win goodies including Clarisonics! 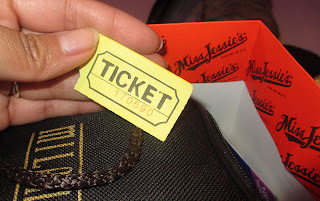 They gave out amazing goody bags from their sponsors - in it I got some amazing full size products from Miss Jessie, Goody Hair Brand, and Milani Cosmetics! 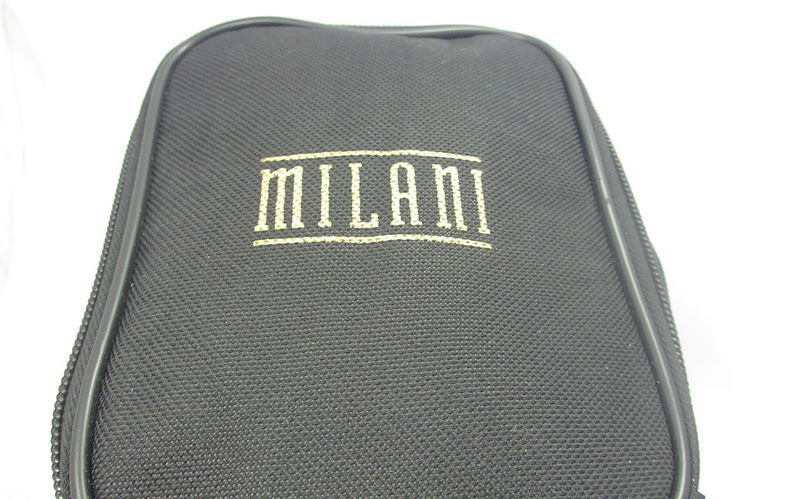 I love this huge makeup bag from Milani...i'll definitely be using it! 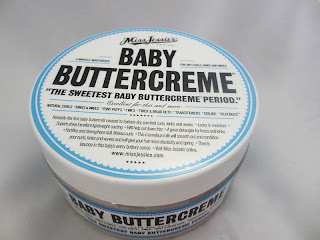 There were about 17 full sized products crammed in here! 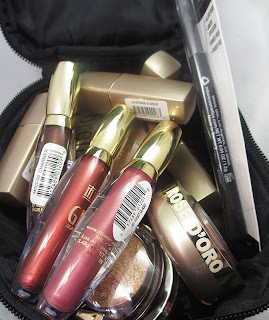 I'm super excited to try out the mineralized blushes and Liquif'eye Pencils - I've heard great things! 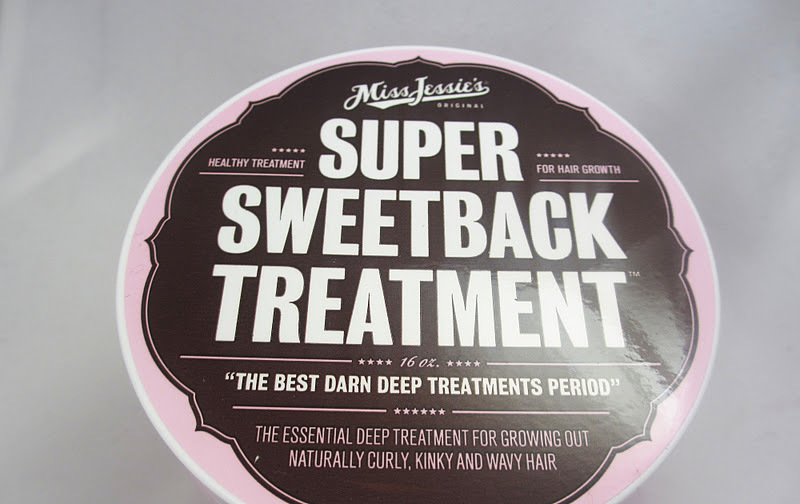 Check out the huge full sized goods from Miss Jessie's...I used to buy these products for my BF when his hair was a little longer and curly. But he's rocking a shorter look so I gave them to my co-worker who haws natural hair...she loves them! 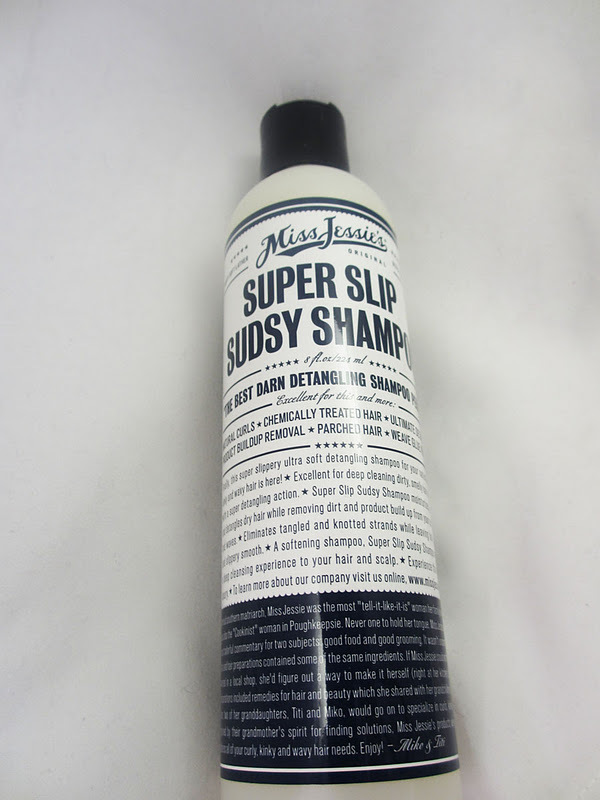 This is a super cool idea. 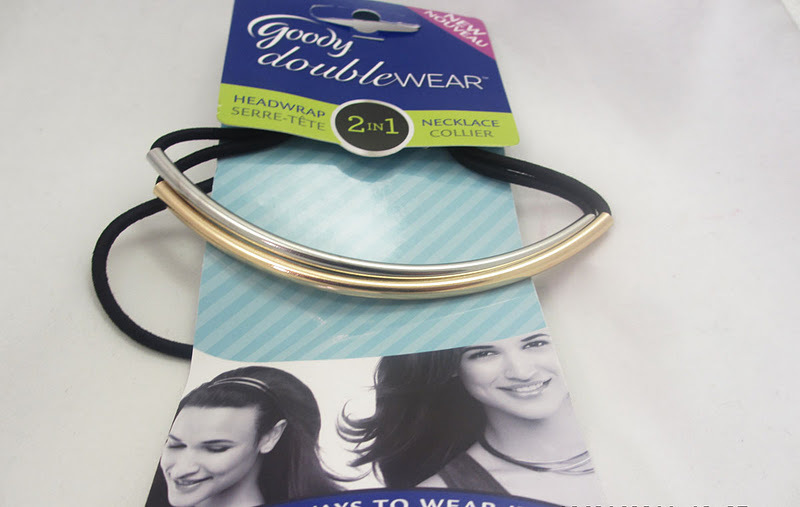 Goody made hairbands dual purpose - you can rock this as a hair accessory and when you're done, just pull it around your neck and it becomes a necklace. I think I have a big head because these pinched on me a little lol. 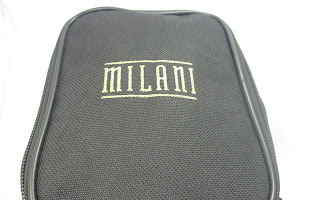 They also had the same concept for pony tail holders...I wish I had gotten those because guaranteed I always have about 2 random elastic bands on my wrist at all times lol. It was a really fun night and I got to meet with loads of bloggers in Atlanta. Thanks to Danielle and Lexi for a fab time. They actually hosted another event about a week later which I'll have pics of coming soon! 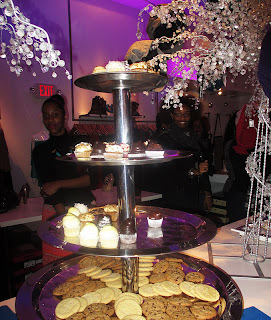 FTC Disclosure: Post not sponsored...I was invited to attend this complimentary blogger event. I was not paid to make this post and these are my honest thoughts and opinions.